I wrote about injured squid for the Pain Research Forum. I wrote about new cancer research targeting the so-called tumor “microenvironment” for Genetic Engineering and Biotechnology News. I wrote a fun review of the children’s book “Enjoy Your Cells” for the Washington Post’s On Parenting blog. Thanks to my daughter Madeline for help with that one! 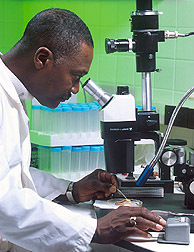 In the United States, the vast majority of scientific studies are performed by federally funded scientists. Science funding was already tight before sequestration began and now the government shutdown is squeezing the system even tighter. This makes it a particularly difficult time to be a scientist in the U.S. (in fact 1/5 scientists have considered leaving the country all together). AAAS Member Central has a new blog series that examines how sequestration is impacting various components of the scientific enterprise. It does a good job of highlighting the different populations affected by these funding cuts as well as the downstream consequences (decreased productivity, closing of labs, lay offs, strains on private foundations, etc.). Luckily, scientists are resilient, and some researchers are finding ways to continue to work and help their colleagues. For example, there are tales that scientists serving on grant review study sections this week are putting in valiant efforts to prevent the shutdown from slowing down review of their colleagues’ grants. And at least one professor is providing a mirror website for vital NSF forms. Hopefully these creative fixes won’t have to last for long, and the shutdown will end soon–for all our sakes.